The NHS e-Referral Service e-learning content will give NHS and healthcare staff a better understanding of NHS e-Referral Service (e-RS) and the functionality that is available to them. It will also show the benefits of using the system for both patients and professionals and how it can be used to support a streamlined referral process. e-RS combines electronic booking with a choice of place, date and time for first hospital or clinic appointments. Patients can choose their initial hospital or clinic appointment, book their appointment in the GP surgery at the point of referral, or later online or by telephone. Further information and guidance on the e-RS programme can be found on the website. Please note that this content is currently only suitable for use on desktop devices. If you already have an account with e-LfH, then you can enrol on to the NHS e-Referral Service programme by logging in to the e-LfH Hub, selecting My Account > Enrolment and selecting the programme. You can then access the programme immediately in the My e-Learning section. 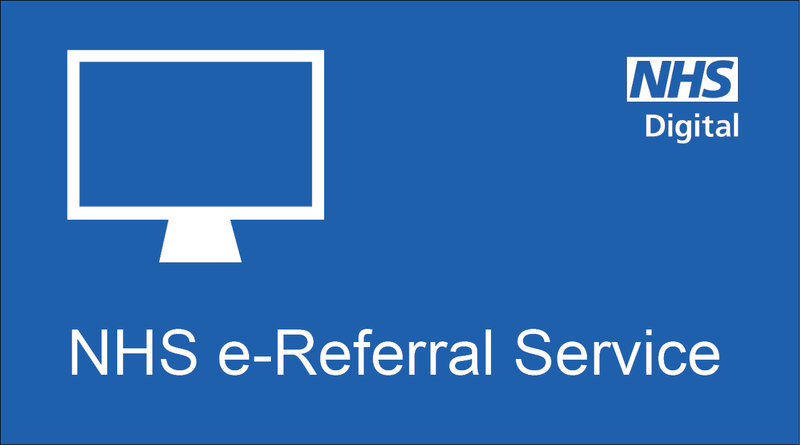 The NHS e-Referral Service programme is also available to NHS healthcare staff via the Electronic Staff Record (ESR). Accessing this e-learning via ESR means that your completions will transfer with you throughout your NHS career. In the event that you do not qualify for free access to the NHS e-Referral Service programme via the e-LfH Hub, you may be able to access the service via OpenAthens. First check whether or not you qualify for direct access by clicking on the Register button via the following link https://nhsdigital.e-lfh.org.uk/. After entering your work email address, you will be directed to enter additional details about your role and location. If you are presented with alternative registration options, your email address has not been recognised and you will not qualify for direct access to the NHS e-Referral Service programme. If this happens and you think that you should qualify for free access to the learning material via the e-LfH Hub, please contact e-Learning for Healthcare.